Never too early to start thinking about blessing the Moms in your life! 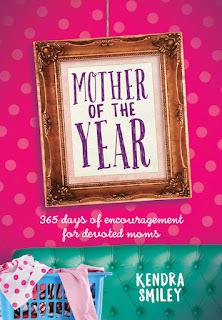 Broadstreet Publishing has three new devotionals that would be perfect to help Moms stay in the Word. Each of these is unique and inspirational. Dated, 365 day devotional. Jump in right where you are on the date, and no worries if you miss a few. They are not connected and not necessary to feel behind! Mom's don't need that stress for sure. 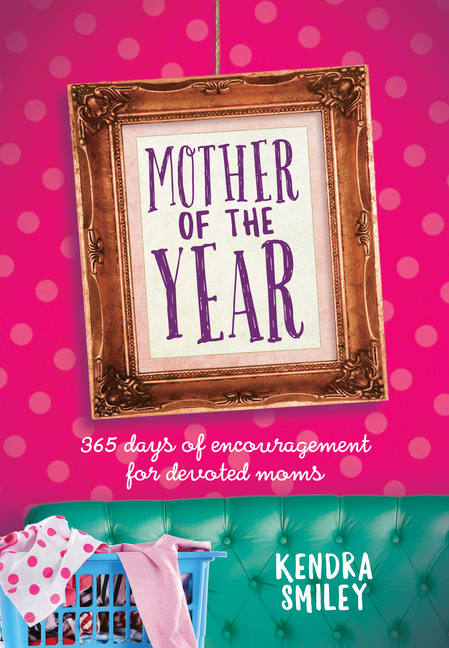 Written by Mom Kendra Smiley, the devotional is easy to fit into your daily schedule. One small page per day, includes a scripture verse, a short word of encouragement or story, and a question. Something extra from the story to get you thinking and applying it to your own life. 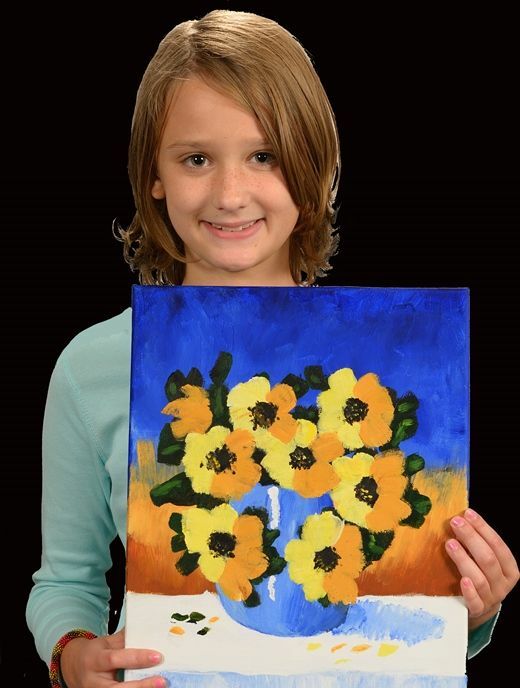 Kendra lives on a farm in Il, and uses some of her experiences from that to help share encouragement. She encourages you to be the best mom you can be! 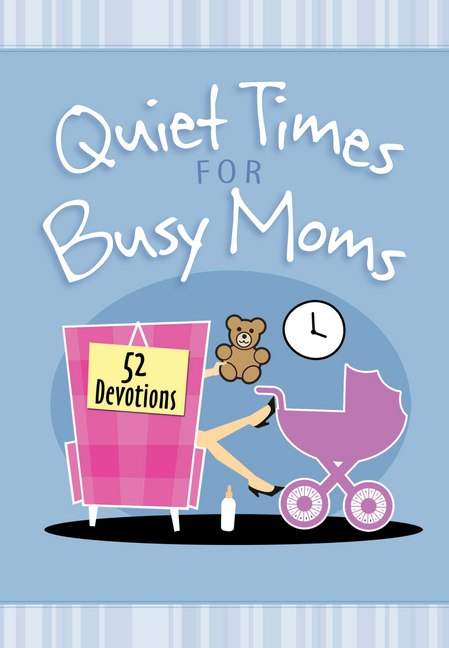 Quiet Times for Busy Moms is broken down into 52 weekly studies. Choose a day of the week and this can be your devotion that day. Refresh it on a day later in the week. Each week begins with a scripture verse, many focused on children, or being a parent. There is then a short story to go along with the scripture verse. The author Vicki Kuyper includes a written prayer you can read or recite. Finally there is a "Tip to try" to have you take what you have learned and apply it to your life. 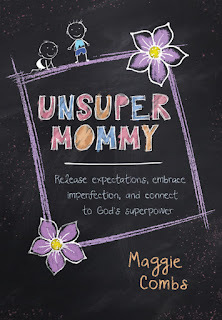 Author Maggie Combs had three little boys in three years, and desires for discouraged moms to be freed from the prevalent expectations of society. With her own personal stories, and humor, Maggie helps you realize that God really is the one to rely on. All three of these books are available at Broadstreet Publishing. 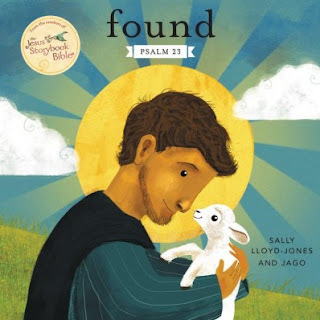 From the creators of the Jesus Storybook Bible is a board book Found based on Psalm 23 for toddlers! It is absolutely gorgeous and inspirational for my little one. Psalm 23 is full of such promise and I love being able to share it with my toddler at her level. She can learn what shepherd does through the gorgeous illustrations by Jago (one of my favorites). The cover itself depicts the love the shepherd has for that little sheep. I love how I can give the analogy then to my daughter about Jesus being the shepherd and we are the sheep. How he loves us each so much, he will find us if we get lost. The book is very simply written. It takes the entire Psalm 23 and breaks it down into easy to understand sentences. One of my very favorite board books ever!! My daughter wanted to make sure there were plenty of pictures!! Be sure to stop by Zondervan and pick up a copy for this Easter! I haven't been writing much, instead I have been crafting and sharing letters with pen pals! Yep, pen pals of good ole fashioned snail mail! I have loved having a new group of people to encourage in the Lord, and to share prayer needs with. Along with that group comes some great ideas of what to add to snail mail, and some awesome crafts. I may have spent way too much time on pinterest lately! So here are just a few photos of some of my pocket letters. 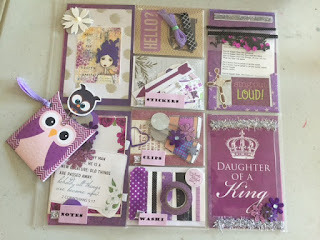 They have been incredibly fun to design and craft and I have sent them all out to pen pals. The next ones I will try to use my real camera for since it seems the phone camera isn't doing them justice! Typically when I mention writing to my kids, they duck and cover. We have been using writing prompts daily for them to get at least 15 minutes of writing in per day, without my grading and picking it a part. Just an opportunity to get their minds sharpened along with their pencils. History is another topic that they tend to avoid, and because of that we don't get as much in our school day as I would like. 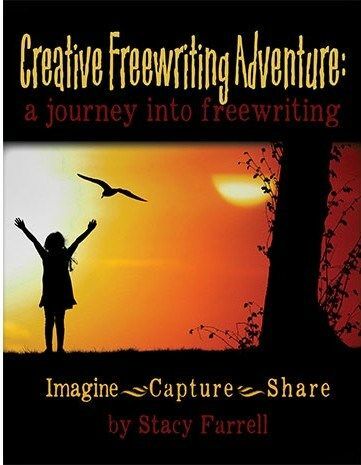 Creative Freewriting Adventure takes both of these elements, the writing and the history and sandwiches them together in a way that my kids enjoyed! There are 10 exercises, or lessons. The first 4 are historical figures from Ancient Greece. We are told their unique story and characteristics. Thales is a scientist who predicted a solar eclipse, way back 2500 years ago. We read about him and the possible story that while he was star gazing he tripped and fell into a well. Here is where our history lesson stops, and our freestyle writing begins. We are given the set up for the story, a bit of background on Thales falling into the well. We are out getting a drink because we are thirsty. I love how it sets up the story for us by giving us a historically accurate person, and then making it weave into writing our own story. Each assignment flows like the photo above. First giving us a page of history to read, and believe me it is the fun parts of history, not the boring things! The author sets up our journey and then assigns us several things to write about. Setting up the scene, and any background information. Determining if we are with anyone and what we may have for dialogue. Then she taps into our senses and encourages us to write about what we see, hear, smell, and feel. I would give the kids their assignment and they would moan and groan as they get ready to write. Set the timer for 15 minutes, and guess what.. they keep going! Each and every time they decide to keep writing as they have found a story within that they want to write. 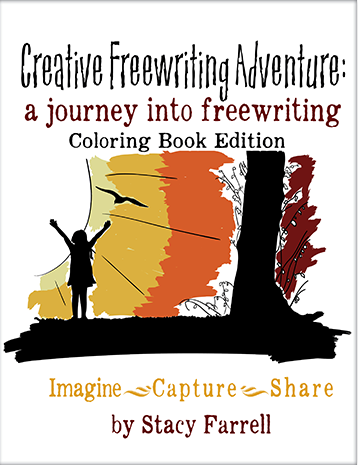 They wrote much more with Creative Freewriting Adventure then they ever did with just the writing prompts I find. I really wanted to utilize this for more formal writing, to maybe spruce them up and grade them and have them turn them into a 'paper'. I held back though as I know that isn't the desire of this writing assignment. I didn't print out anything. We just read it from the computer. There is a page you can print out to write your story on if you chose to. There is also a great Coloring book that I printed out some of the pictures for my 9 year old to color so he could participate. He isn't a writer yet, so for him just thinking about the story and talking it through with me was just as much fun. The 5th through 8th assignment are based on literature called The Wise Woman by George MacDonald. You don't have to read it to participate in the writing. She gives you the background information you need. The 9th assignment is based on work by CS Lewis and focuses on Eternity. The final assignment is about being at Jesus birth. I thought it was great how their was such a variety in the writing assignments, but each had some history or literature to go along with it. The only problem I had is there are only 10 of them. We started off doing just 2 a week because we didn't want to get through them too fast. I would love if there was a way to continue with this series and add more exciting people to write about. 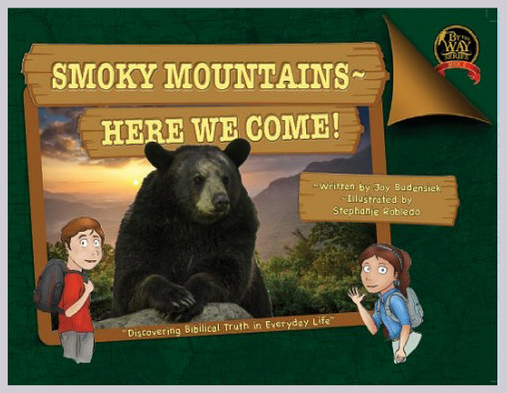 Click on the banner below to see what my crew mates thought of this and some other products from Home School Adventure Co.
As we are considering the Smoky Mountains for a vacation this year, By the Way Book Series book, Smoky Mountains ~ Here We Come! was a great place to start to get the kids excited about some of the things we may see. Only a few hours away from us, it seems the perfect destination place with lots to visit and learn. These books are geared for ages 5-12. My 15 year old even found it interesting to look through as did my 2 year old looking at the pictures. It was a little over her head for reading. Key difference in this series is that is it told from a Biblical World View! "Discovering Biblical Truth in Everyday Life" is the subtitle of the series. The goal is to explore the world around you through the eyes of faith. The series Title came from Deuteronomy 6:7 to talk about the Lord with our future generations in our homes, when we arise, and as we walk 'by the way'. 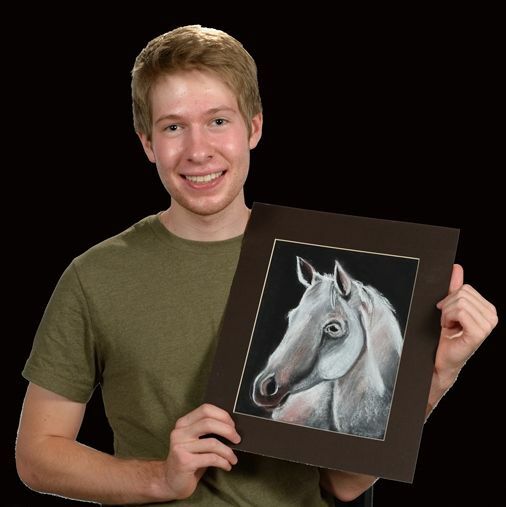 This book is a combination of actual photographs, and cartoon illustrations. We join Lexi and Alex, the brother sister team as they visit their Uncle Ted who is a forest ranger. Who better to show us the Great Smoky Mountains than a ranger! 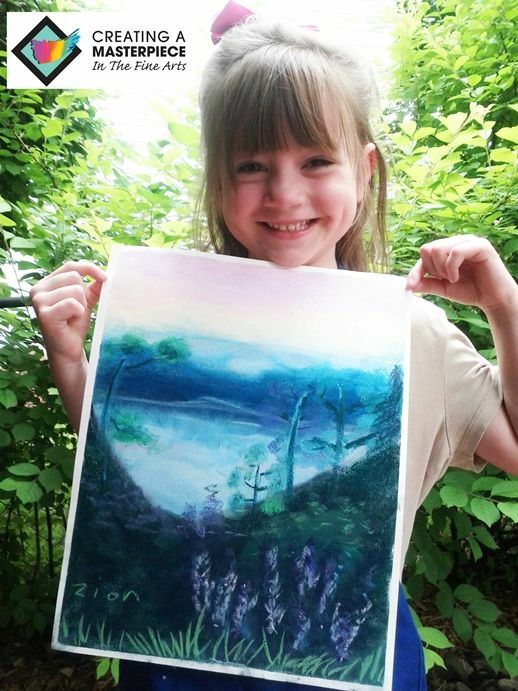 The book reads like a storybook as Lexi and Alex go about their adventures including seeing skunks, flowers, butterflies, bobcats, trees, and more specific to the land. In subsets on the page are actual photos and facts about the different things they are seeing in the story. There is a variety of scripture through out the book as well. I love how the author takes the opportunity to share scripture that goes along with what they are finding in the story. When the kids were looking at the Fraser trees, she quotes Jeremiah 17:7-8 "For he shall be as a tree planted by the waters". Not only is the book full of information on all that you will find growing and living in the Smoky Mountains, it also takes the time to share the history of the people who first lived there, the Cherokee Indians. The town of Cataloochee was abandoned when the federal government bought up the town to make the Great Smoky Mountain park. I had never heard of this and you can be sure its on my ' to visit' list for when we go. Cades Cove was a town I had read about previously and it was neat to see photos in the book. The Cove once had 671 people living there. By the Way Book Smoky Mountains is 50 pages long. We chose to break it up over a couple of days, as it is too much for a single read. There is a lot of information packed into the pages of this book. Be sure to check out the front page of the book where you can see the animals and objects you are trying to locate on the page, be a sleuth! Find By the Way Book Series on Facebook and see what my crew mates thought of this and the others in the series by clicking on the photo below.